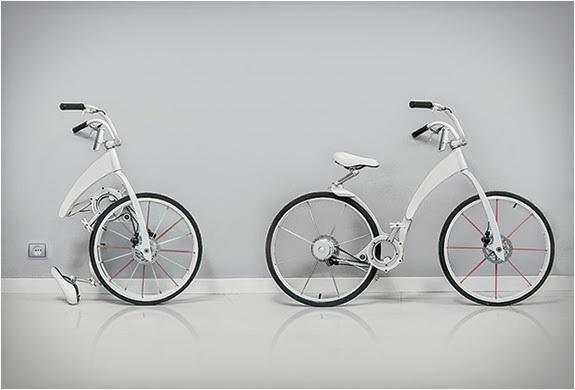 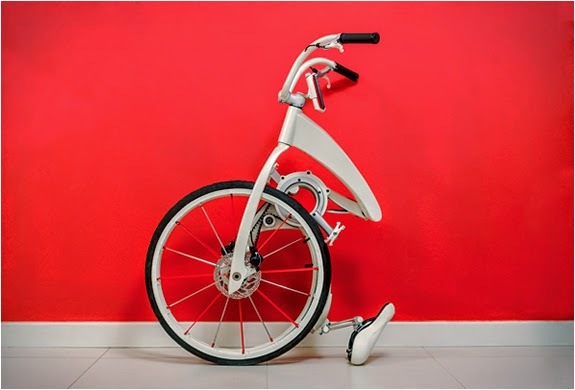 [ #inspiration #bike ]Gi-Bike is a connected, lightweight, electric folding bike. 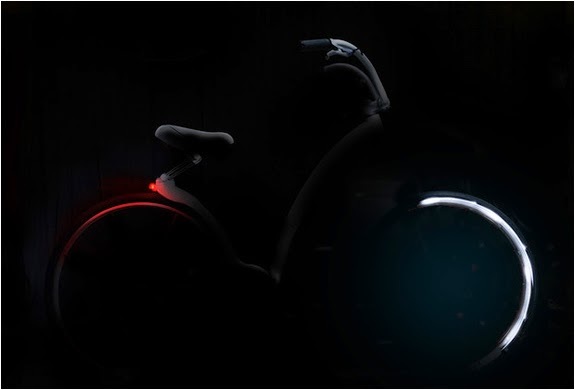 The creators aim to revolutionize and transform the way millions commute to work, they state that Gi-Bike has enough features to satisfy all the needs of the everyday commuter. 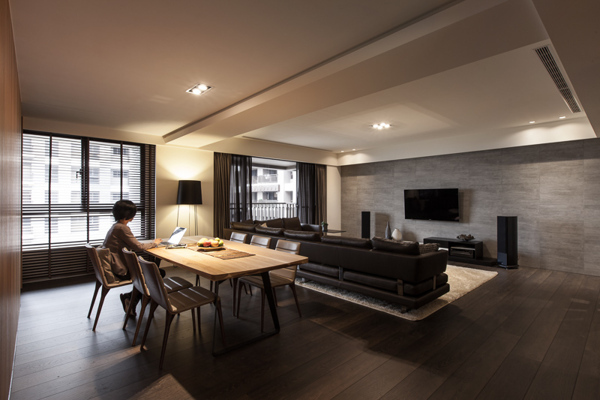 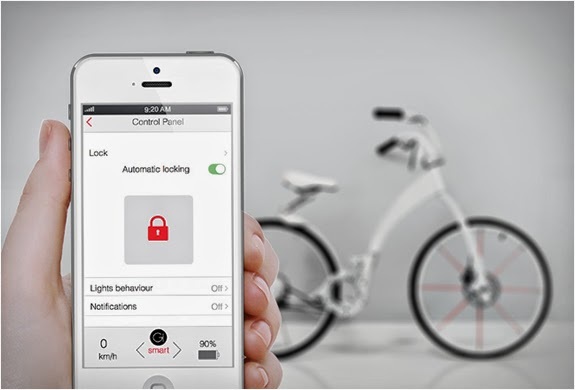 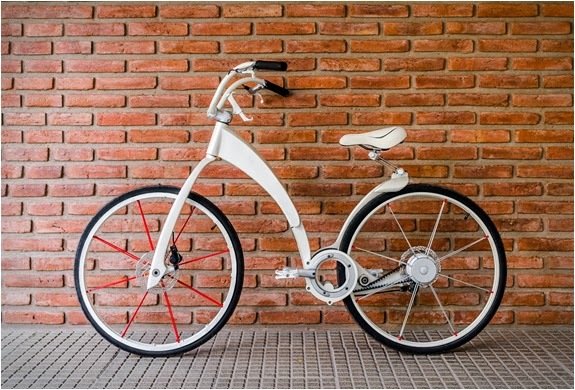 It also features wheel smart LED lights that turn on at night and includes an app connected to the Gi-Bike´s integrated anti-theft lock that locks automatically once you walk 10 feet away from your bike. 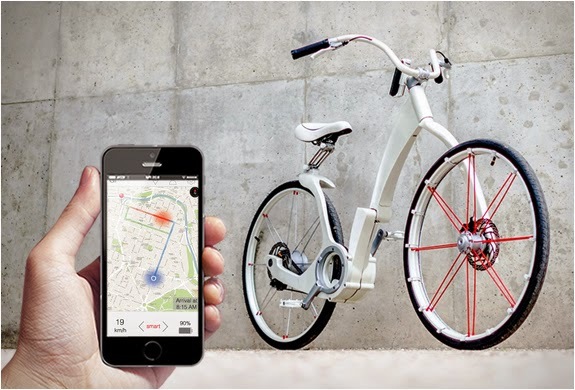 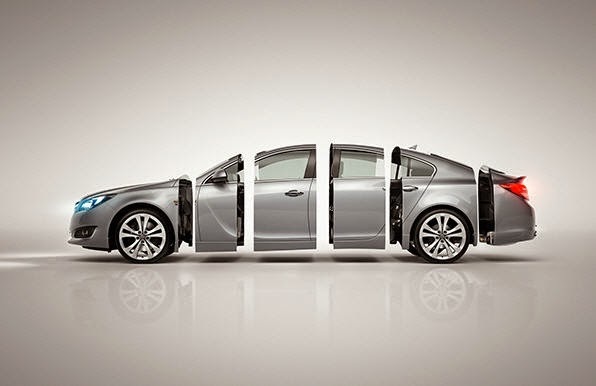 The app also allows you to control all of Gi’s features, including its electric assistance, wireless lights, and also provides live statistics measuring calories burned, speed, time, mileage, and more.